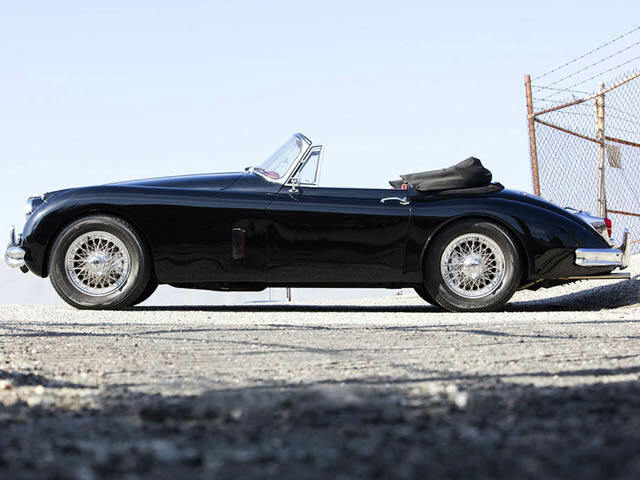 What would turn out to be the final glorious incarnation of Jaguar’s fabulous ‘XK’ series of sports cars arrived in 1957. 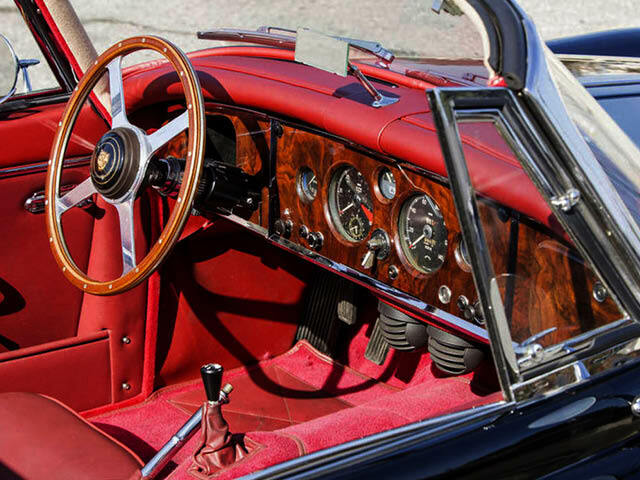 As its nomenclature suggests, the XK150 was a progressive development of the XK120 and XK140, retaining the same basic chassis, 3.4-liter engine and four-speed Moss transmission of its predecessors while benefiting from a new, wider body that provided increased interior space and improved visibility courtesy of a single-piece wrap-around windscreen, replacing the XK140’s divided screen. 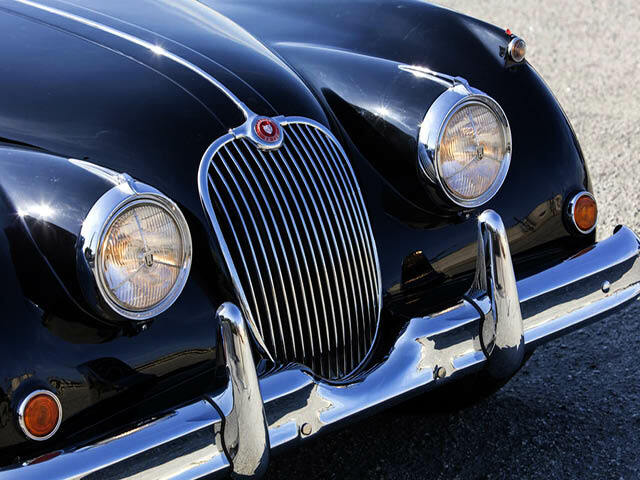 Cleverly, the new body used many XK120/140 pressings, the increased width being achieved by means of a 4″-wide central fillet. 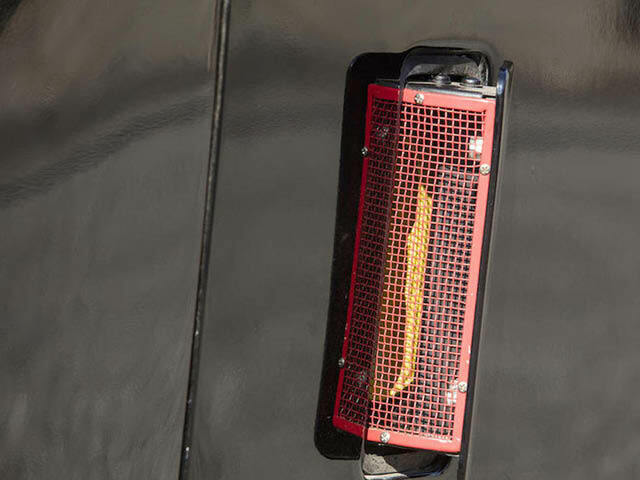 A higher front wing line and broader radiator grille were other obvious differences, but the new model’s main talking point was its Dunlop disc brakes. 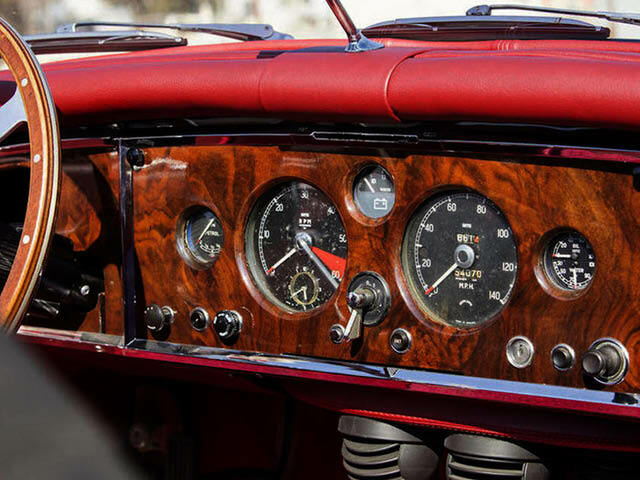 Fade following repeated stops from high speed had been a problem of the earlier, drum-braked cars, but now the XK had stopping power to match its prodigious straight-line speed. 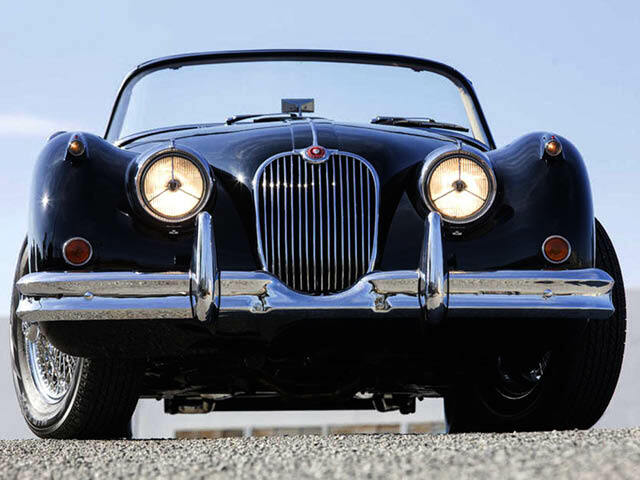 Introduced in the spring of 1957, the XK150 was available at first only in fixed and drophead coupé forms, the open roadster version not appearing until the following year. 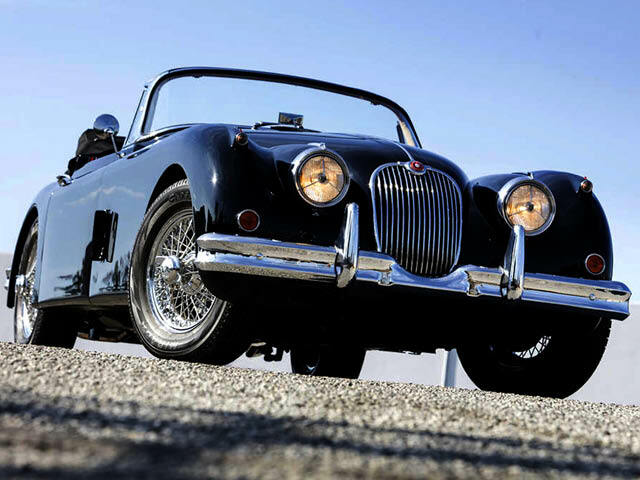 At 190bhp, the engine’s maximum power output was identical to that of the XK140, so performance was little changed. 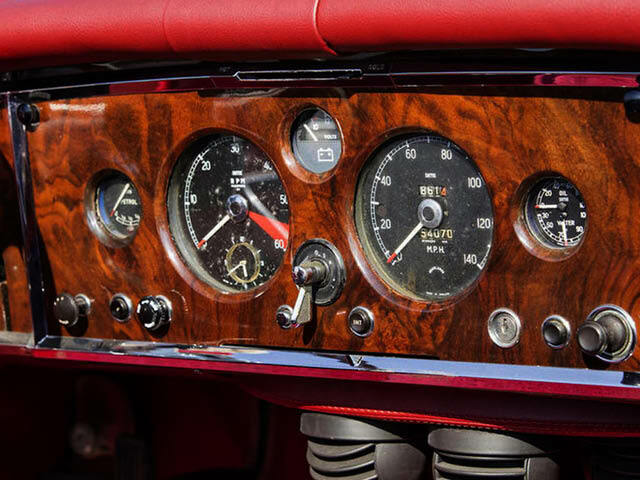 ‘Special Equipment’ and ‘S’ versions came with 210 and 250bhp respectively, the latter delivering an astonishing 0-60mph time of 7.3 seconds and a top speed of 136mph. 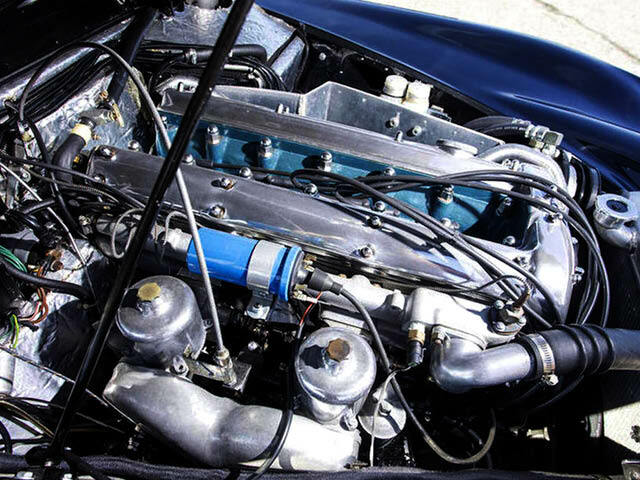 This was achieved by the introduction of the Weslake-developed ‘straight-port’ cylinder head, high-compression pistons, triple 2″ SU carburetors and twin electric fuel pumps. 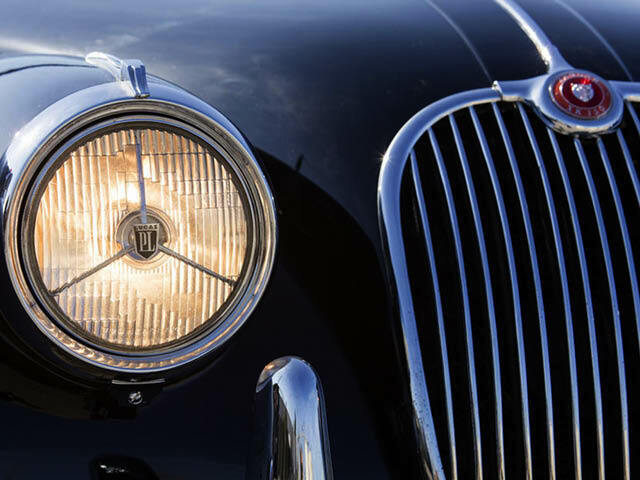 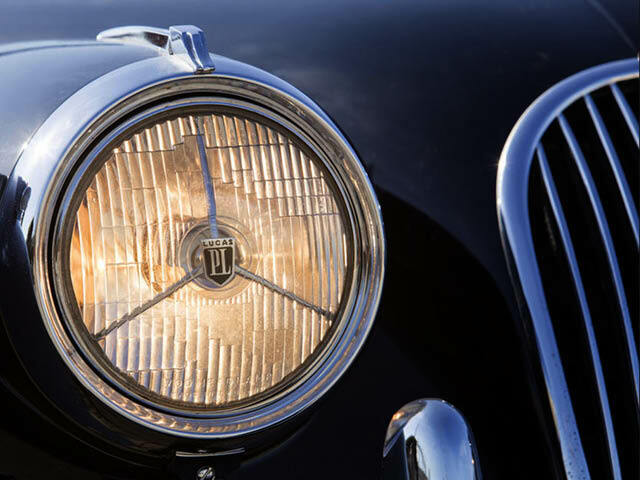 In the autumn of 1959 the XK150 became available with the 3.8-liter engine first seen in the Mark IX saloon. 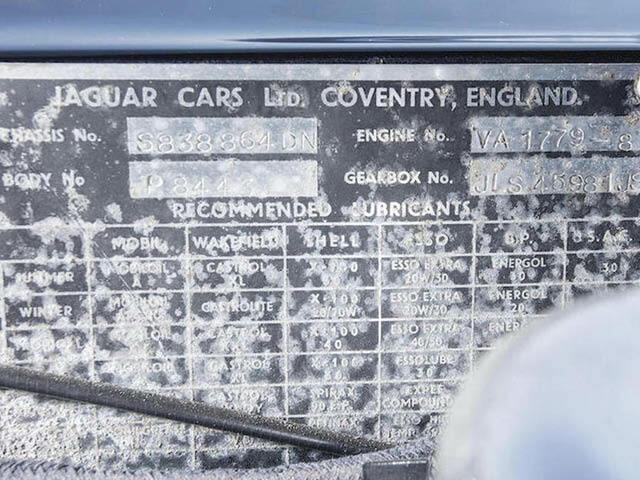 ‘Standard’ (220bhp) or ‘S’ (265bhp) states of tune were offered and, in either form, the XK150’s increased weight was more than offset by the power of the larger engine, the car regularly recording in excess of 130mph in magazine road tests. 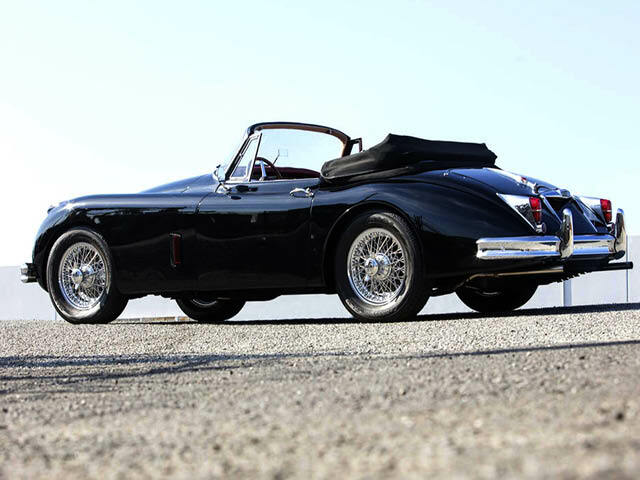 This fine XK150 Drophead Coupe is one of the very coveted 3.8-liter models. 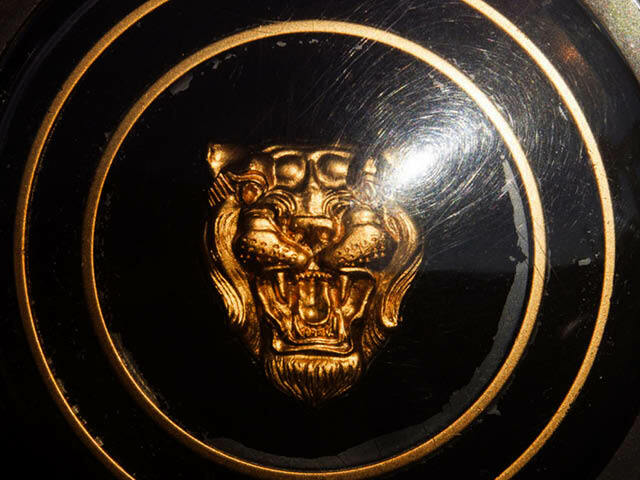 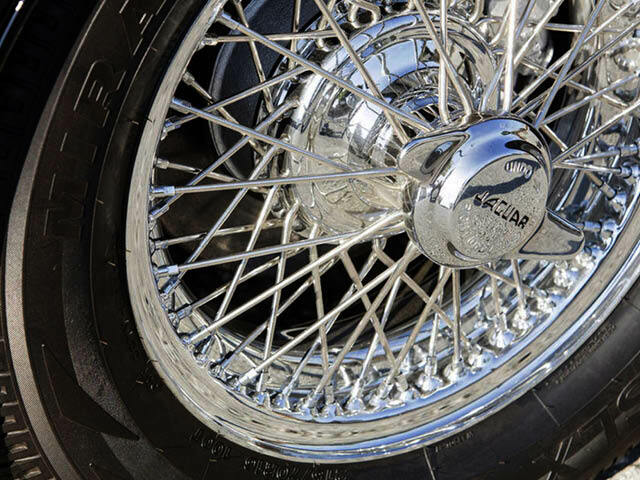 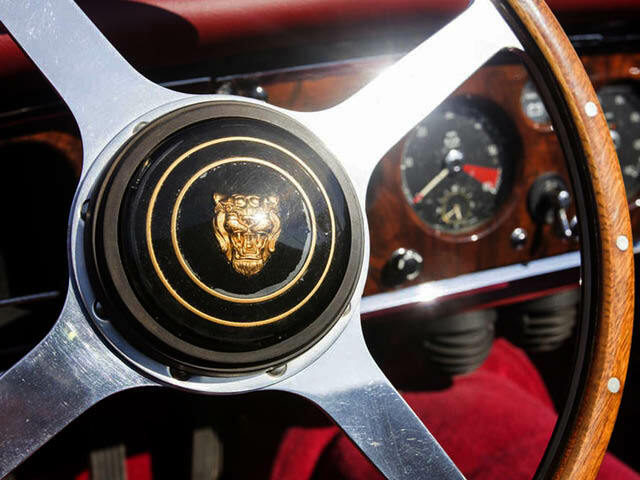 The car’s previous owner had a desire to upgrade the Jaguar to be even sportier, and had the car thoroughly refurbished with several tasteful upgrades. 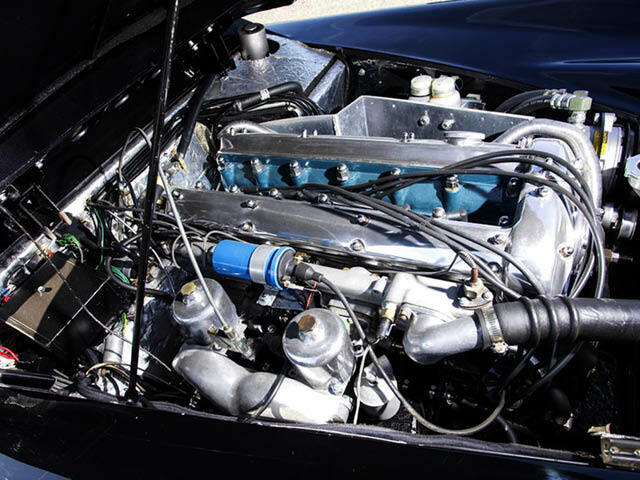 Michigan-based Jaguar specialist Bill Terry fitted a custom fuel injection system on the matching-numbers 3.8-liter engine, as well as performing other engine work. 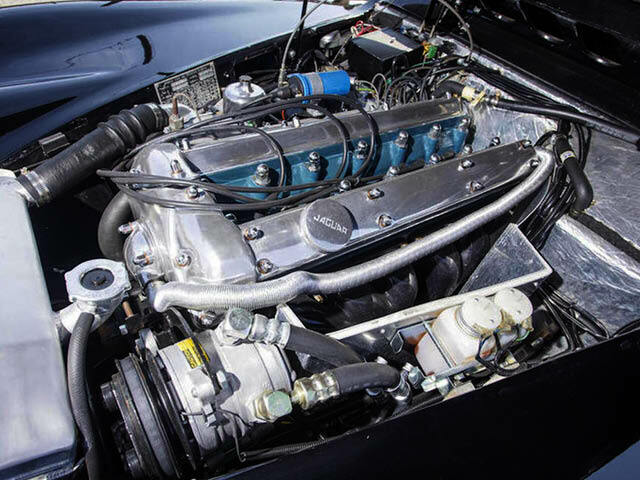 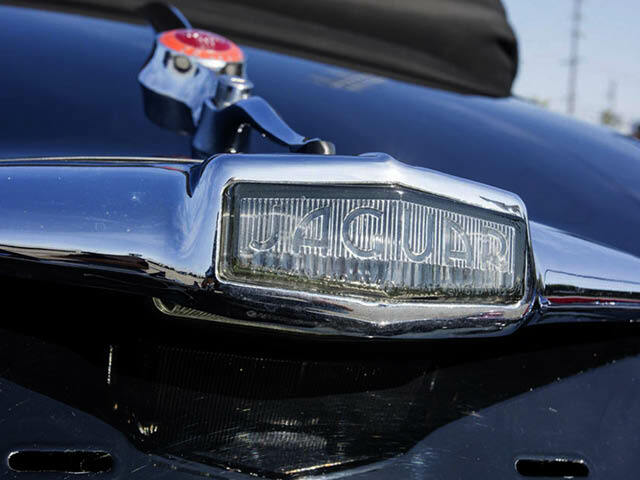 A cleverly engineered system with Bosch injectors hidden in the intake manifold, utilizing the butterfly throttles of the SU carburetors for air, the fuel management is handled by a Simple Digital Systems ECU. 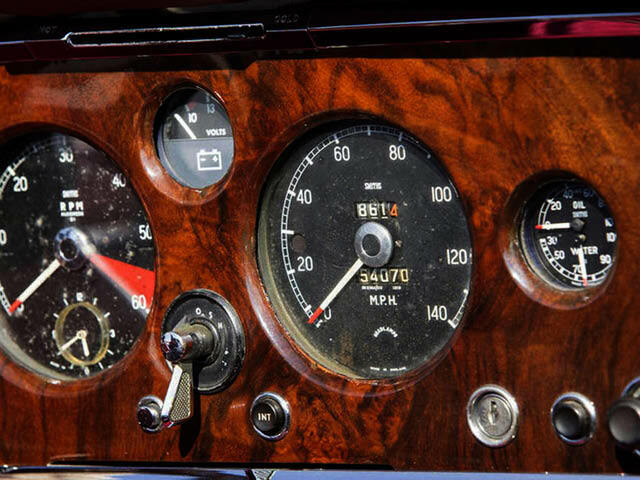 This is a construction that is hard to recognize from the outside but helps in both reliability and performance, especially if driving at altitude. 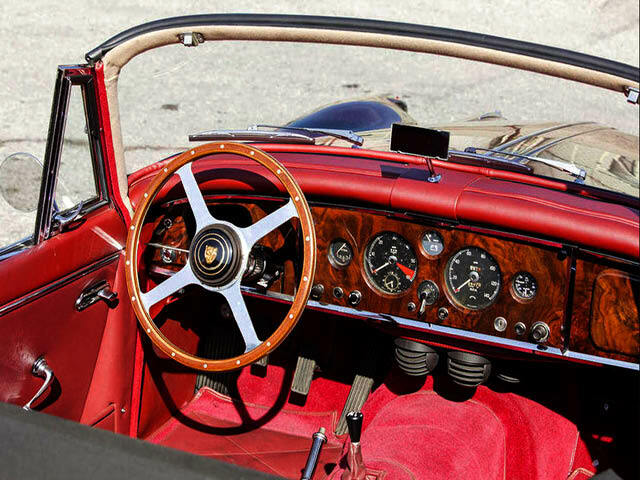 The original 4-speed overdrive Moss gearbox has been replaced with a modern 5-speed transmission, and an upgraded clutch was installed. 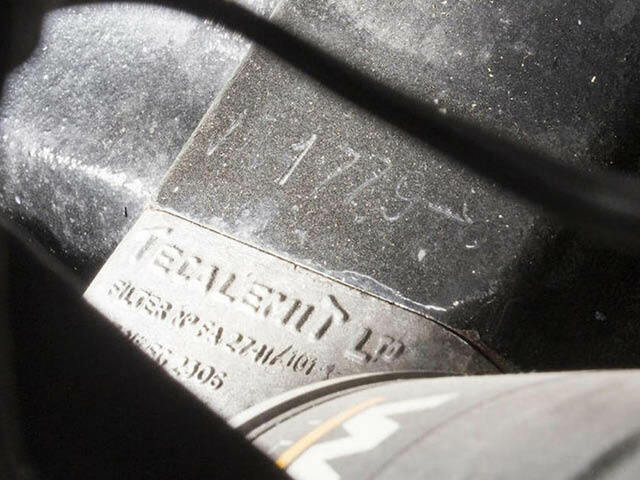 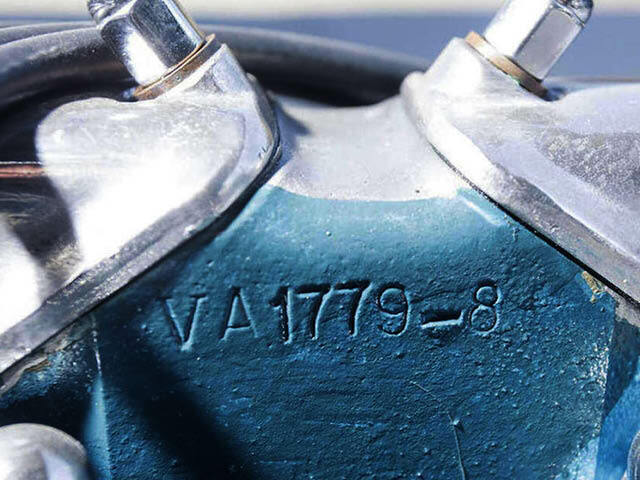 It should be noted that the original numbers-matching transmission is included in the sale of the car. 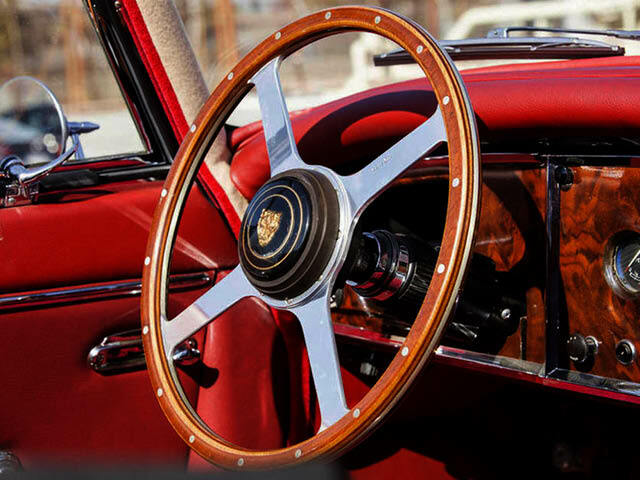 Air conditioning is gracefully integrated into the dash, and under-hood heat is managed by a custom designed system that extracts hot air through hidden pumps and dumps it out through vents in the front fenders. 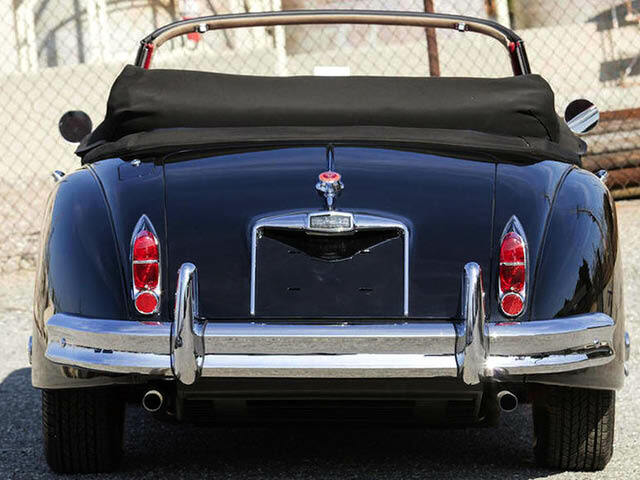 Other upgrades include a variable electric power steering system, an alloy radiator, and a modern alternator. 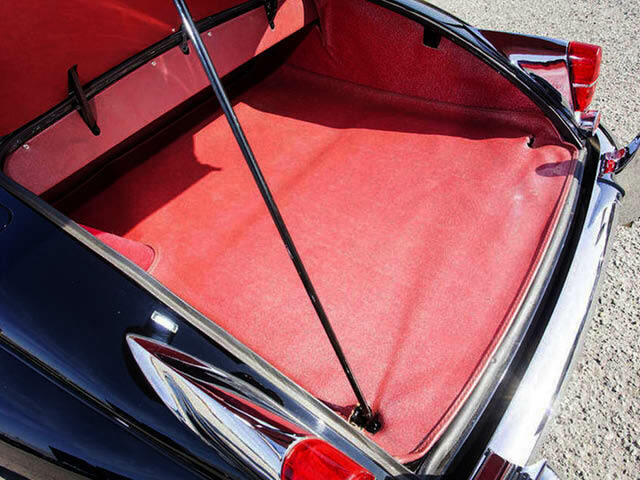 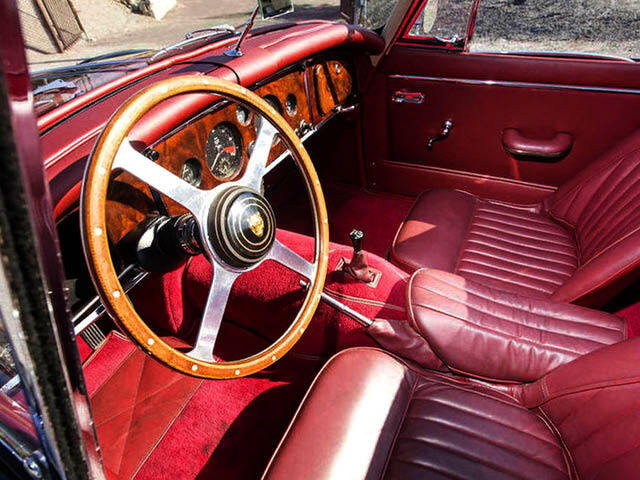 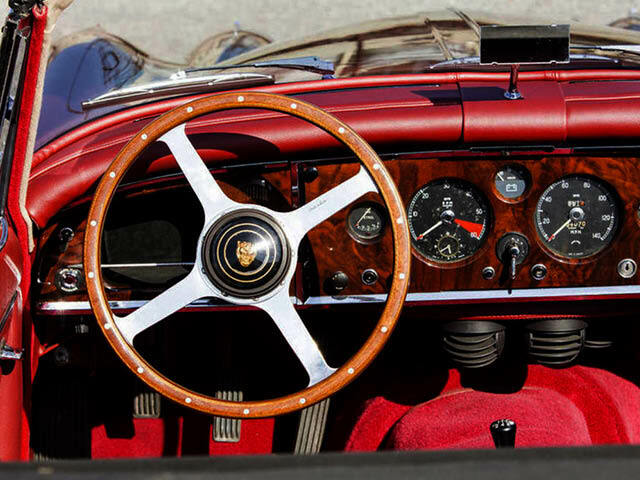 The XK150 presented here has been fitted with the desirable E-Type Series I bucket seats neatly fitted with period correct Burgundy leather, combined with the walnut dash from an XK140 and a wood-rimmed Moto-Lita steering wheel. 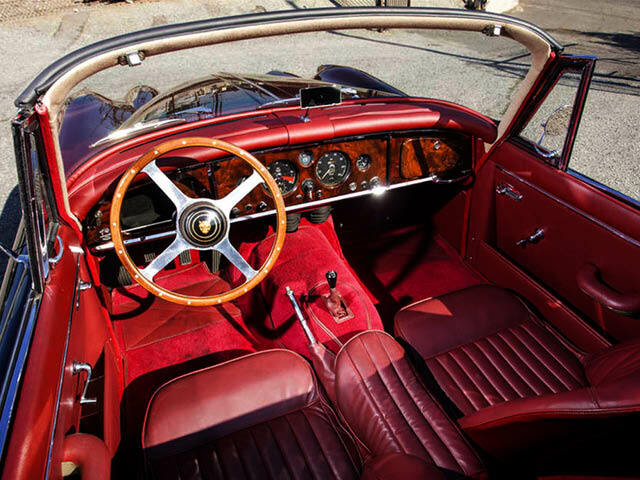 This Jaguar has a tasteful interior where one can spend many hours enjoying this all-time British favorite.